The Metrologic Instruments SP5500 Datacollector is able to be loaded with the Cipher Labs CPT8000 series runtime. If using a USB cradle, the serial port installed for this cannot be higher than COM 8. On the Metrologic SP5500 datacollector, hold down the 7, 9, Power buttons to get into the system menu. Use the up and down arrows to highlight and select Load Program from the menu. Use the up and down arrows to highlight and select Cradle-IR from the menu. Use the up and down arrows to highlight and select the Baud Rate that is the same as the Baud Rate of the serial port on the computer. The handset will wait until the software is loaded from the computer. Download THIS FILE to your computer and extract it. Open your Windows Explorer, browse to where the files have been extracted and run the IRLoad.exe program. Use the Com Port Properties window to select the serial port the Metrologic sp5500 cradle is installed on and the baud rate that the serial port is set to. 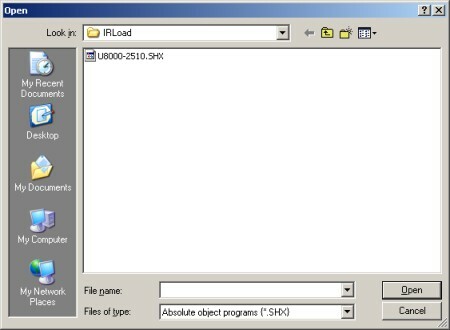 The IRLoad.exe program is only capable of connecting to COM1 to COM8. Click OK to have the runtime downloaded to the handset. 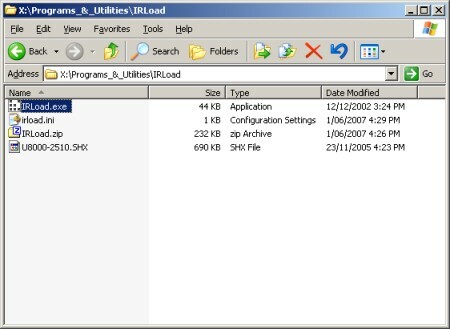 When this is complete, a question appears asking if another program is to be loaded. Select no to this question. Turn the handset off and then back on again selecting to clear the file when prompted. The Metrologic handset now has the Cipher Labs runtime installed.